This work deals with the topic of the allocation of responsibilities between the central state and local authorities, with a specific territorial focus: it takes into consideration six European countries that are covered by the EUSALP Strategy (namely, the EU Strategy for the Alpine Region): Austria, France, Germany, Italy, Slovenia and Switzerland. Despite such a common EU Strategy, and a generalised need for defining a reference framework to compare policies supporting innovation in territorial ecosystems, some major differences characterise the forms of States and the regional authorities in the aforementioned countries. 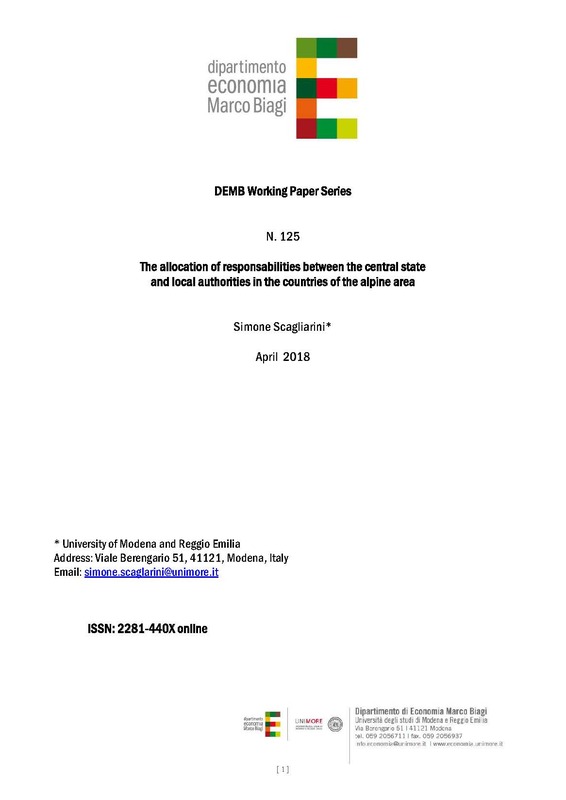 Thus, moving from some general indications on the regional territorial organization of national countries, this study aims to return the main characteristics of the allocation of the legislative (and partly the administrative) responsibilities in the six countries of the Alpine region.